How do you cure an allergy to money? When is a “multitalented” person too “multi”? Where is the line between extending your creative energies in new directions and spreading yourself thin? That question occurred to me after seeing the quirky comedy “Jinu yo Saraba: Kamuroba Mura E” (“A Farewell to Jinu”), Suzuki Matsuo’s first feature film as a director since “Quiet Room ni Yokoso” (“Welcome to the Quiet Room”), his 2007 comedy set in a mental hospital. During this eight-year gap, Matsuo was busy working as a scriptwriter, actor, novelist and manager of a theater troupe. 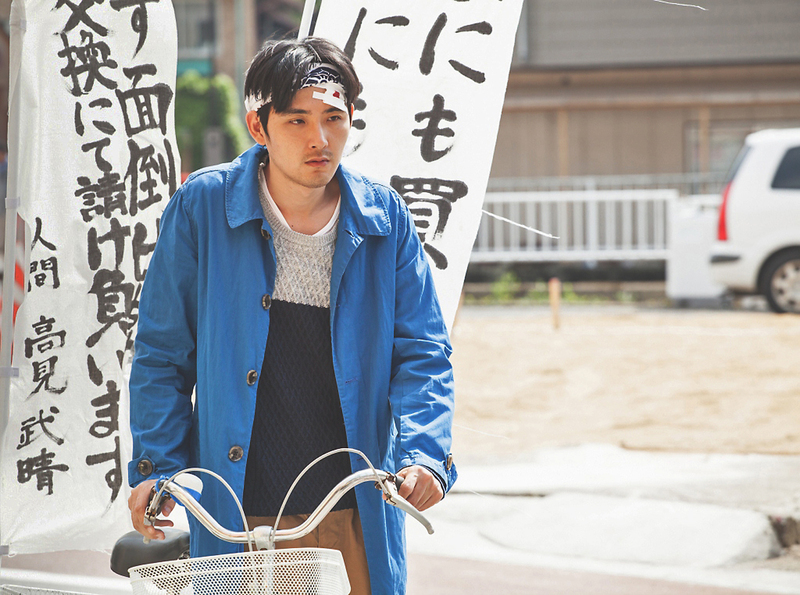 The new film, in which burnt-out bank employee Takeharu Takami (Ryuhei Matsuda) moves to the countryside intent on living a zero-yen life, has some of the same promise and problems of Matsuo’s earlier work, beginning with his 2004 directorial debut “Koi no Mon” (“Otakus in Love”). All his films have a clever offbeat premise, funny-if-borderline-annoying characters and laugh-out-loud gags. The comedy, however, begins at full volume and stays there, while the story feels like a series of sketches rather than a narrative with an arc. This approach is hardly exclusive to Matsuo — much local comedy is high-decibel and skit-centered — and Matsuo, as an actor, is often brilliant even in films that aren’t. But I find a little of him and his approach to comedy goes a long way. After two hours of “Jinu” I was longing for an oasis of relative calm — like Shinjuku Station at rush hour. Takami, aka “Take,” the aforementioned bank employee, arrives in the village of Kamuroba from Tokyo, having purchased a ramshackle house. The locals, including the brusque if well-meaning mayor Yosaburo (Sadao Abe), and his beautiful sweet-tempered wife, Akiko (Takako Matsu), welcome the newcomer, whose youth is a rarity in a town with the average age of a nursing home roster. But once Yosaburo and the others find out about Take’s allergy to money — caused by a traumatic experience at the bank — they begin to regard him as strange rather than a stranger. Even so, he gets to know the natives, including the saucy teenager Aoba (Fumi Nikaido), who is even more of a standout among the town’s many pensioners than Take, and Nakanussan (Toshiyuki Nishida), a mysterious old man who shuffles about snapping photos with an antique 35 mm film camera and is known as the “god” of the village. Take tackles the problem of surviving without money by becoming a part-timer at the Supa Amano grocery run by Akiko in exchange for food. But his discarded bank book, indicating a balance of ¥6 million, is discovered by Yosaburo and word gets out that Take is actually loaded. Aoba, in cahoots with a goofy shaven-headed gangster (Yosiyosi Arakawa), tries to seduce it out of him. From here the story takes turns seemingly borrowed from caper comedies and paranormal dramas. Enough to say that Nakanussan’s godhood turns out to be more than a senile fantasy, while Take and Aoba’s budding relationship becomes more than that of victim and victimizer. Even Take’s money — that root of all evil as far as his mental health goes — ends up a plus, and not only for its original owner. So, happy ending? Not yet, as a dodgy old acquaintance (Suzuki Matsuo himself) of Yosaburo’s shows up one day, eyes glinting with malice. This and other complications (introducing all the subplots would occupy the remainder of this review) begin to feel like mere pot-stirring, while the ostensible hero, Take, fades into the background. Matsuo, who also wrote the script, tries mightly to pull his plot threads together, but the climax arrives too late for anything but a sigh of relief. 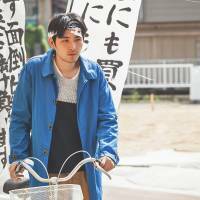 Nonetheless, the film has its inspirational side: It tells us that in certain parts of this country, people still take care of their eccentric neighbors — and ¥6 million still goes a long, long way.